Do you require shelf labels and tags to identify products and prices or barcodes? 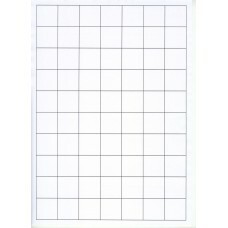 If so, you can choose to print your shelf tag information by either using thermal tags on rolls or our A4 perforated sheets. We even have a shelf tag product that is both a sticky label that can be peeled away and stuck on to the shelf or can be pushed out as a non-adhesive tag and slotted into the shelf space. We have a large range of sizes that are available as standard stocklines, or otherwise we can custom make to suit any software program. 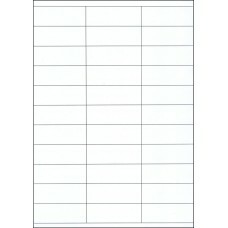 Our shelf labels and tags stocks range from 80gsm paper tags to 150gsm card tags, available in white or different colours. 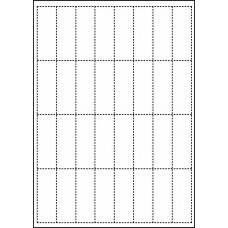 Our A4 perforated shelf tags can be placed in the feed tray of your standard A4 laser or inkjet printer or photocopier. 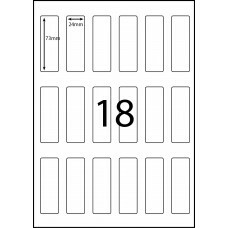 You can use whatever software you require to print your product information/prices/barcodes and then the shelf tags can just be torn away along each perforation and the shelf tag can be inserted into the shelf runner. Alternatively, if you print the shelf tag information on a thermal tag on a roll, then the same principle occurs. Your software will print as per the tag size stated and then you can just tear each tag off by the perforated line and insert the tag into the shelf runner. If you can't find what you are looking for, please contact us for a quote.